The word doula comes from the ancient Greek meaning a woman who serves and is now used to refer to a trained and experienced professional who provides continuous physical, emotional and informational support to the mother before, during and just after birth; or who provides emotional and practical support during the postpartum period. Read more. As your birth doula, I provide you with emotional and informational support during pregnancy to help you and your family prepare for labor. During labor I provide continuous support and reassurance so that you are able to focus on your body and your inner strength for an empowering birth experience. As your birth doula, I provide empathy and support to you and your family from pregnancy to a few days after baby’s birthday. I am just one part of your birth team who is completely focused on the needs and desires of you and your family. I will offer a listening ear for the emotional process of pregnancy, help you write your birth preferences, provide you with informational support and resources, provide you with continuous support throughout your labor and delivery, stay with you for a few hours after birth and a postpartum visit to help ensure a happy transition into motherhood. 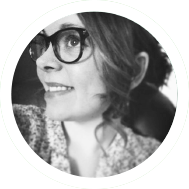 I am trained and knowledgeable about the natural birth process and I possess skills to help a laboring mother cope with the physical experience and emotions of labor. I understand the importance of this experience to you and your family. I help you to formulate questions and gather information so that you can discuss your options and make the informed decisions that are right for you. As a doula I never perform clinical tasks and never make decisions on behalf of or speak for you or your partner. My goal is to help you make the informed decision that is best for you. My training has provided me with the skills to complement the rest of your birth team to help you have an empowering birth experience. The earlier we are able to establish a relationship the better! Part of my job as your doula is to get to know you and your family and understand your desires for your upcoming birth. However, it’s never too late! The benefits of a doula remain the same whether you contact me at 4 weeks or at 40 weeks. SHOULD I HIRE A DOULA IF I ALREADY HAVE A BIRTH PARTNER(S)? No one can replace your partner. Each person on your birth team plays an important, separate role. As your doula, I offer my support to your partner as well as you. I will support, help to engage, work together with and take turns with your partner to ensure that you are continuously supported. Whether it’s emotional support, physical support through positions, water or a cool cloth, your needs will always be met so that you are able to focus on your inner strength. I HAVE A GREAT PROVIDER &/OR NURSE. DO I REALLY NEED A DOULA? Doctors, midwives, nurses and doulas all take on separate roles in supporting birth. Often the nurse is busy charting, monitoring and reporting. Midwives and doctors are highly trained medical experts ensuring the safety of you and your baby. A doula is in your constant presence supporting you emotionally, physically and to help your birth be an empowering experience. Together, we build a birth team, strong enough to move mountains birth babies! IS A DOULA ONLY FOR HOME BIRTHS? Definitely not! Whether the place is your home, a birth center or a hospital, I will be there to offer my continuous support to you and your family. I AM ALREADY TAKING CHILDBIRTH CLASSES. DO I STILL NEED A DOULA? A doula is intended to enhance, not replace, the services of a childbirth class. During labor, I can help to remind you of the things that you have learned from your childbirth instructor. The childbirth class instructor, the doula, midwife or obstetrician each play a separate and important role throughout your journey into motherhood. I’M NOT SURE THAT I WANT A STRANGER IN MY DELIVERY ROOM. Birth is an intimate experience for you and your family. 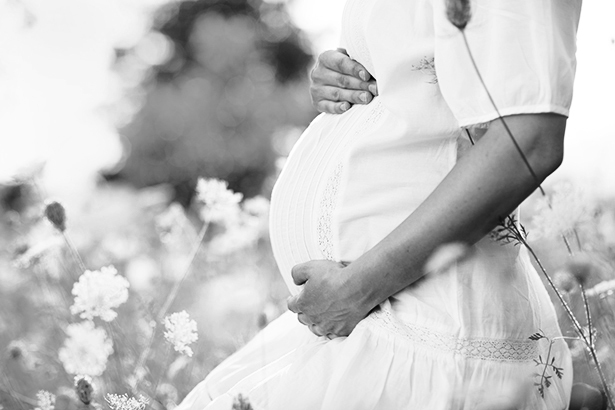 As your doula, I respect you & your wishes regarding your privacy and I bring along a sense of comfort and security. Plus, after our prenatal visits together, we won’t be strangers any longer! I DIDN’T HIRE A DOULA FOR MY PREVIOUS BIRTHS. Each birth experience is unique. It doesn’t matter if this is your second baby, third, fourth, fifth, sixth…a doula’s support remains beneficial. CAN YOU COME TO MY PRENATAL APPOINTMENTS? Absolutely! Sometimes it’s nice to have support at your appointments, too. Coming along with you/and your partner to your appointment also gives me another chance to get to know you, see how your pregnancy is going and meet your caregiver(s). On average, the fees can range anywhere between $400 and $1,000 depending on experience and geographic location. I have been trained as a doula but I am currently still completing my certification process. As I work to complete my certification, I have set my fee on the lower end of the average. WHAT IF I WANT A DOULA BUT DON’T FEEL A CONNECTION WITH YOU? It’s important that you choose a doula that you are comfortable with, someone you can imagine by your side while you labor. 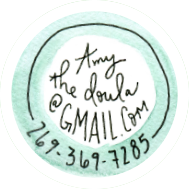 If I’m not the doula for you, let’s talk. I work alongside many wonderful doulas and I would be happy to connect you with someone that would be a better fit for you and your family!